weeblrAMP has an extensive support for inserting Ads in your Accelerated Mobile Pages. 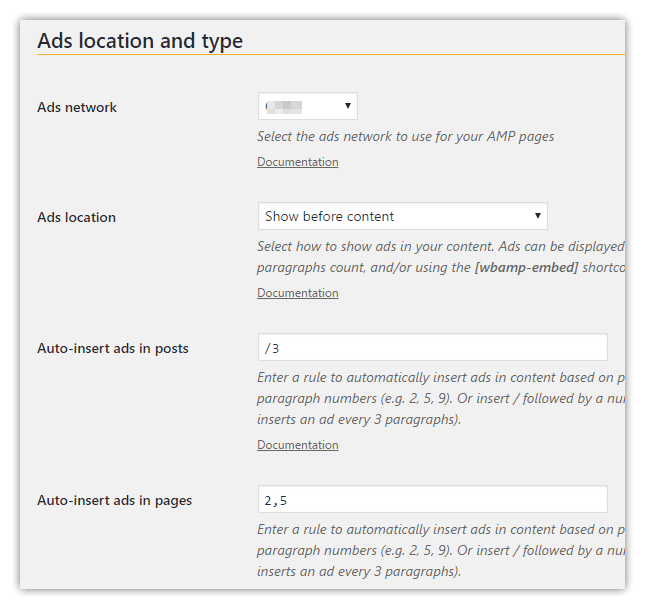 By default, the Ads network settings are global, ie the same network will be used throughout all AMP pages. But you can also manually insert ads from any ad networks the AMP project supports by means of tags in your content. Each of those networks has a separate section in the settings, where you can input appropriate parameters for the given network. The list of accepted ad networks is maintained by the AMP project on this page. Be sure to only try to display ads from one of the networks listed there, anything else will not work. 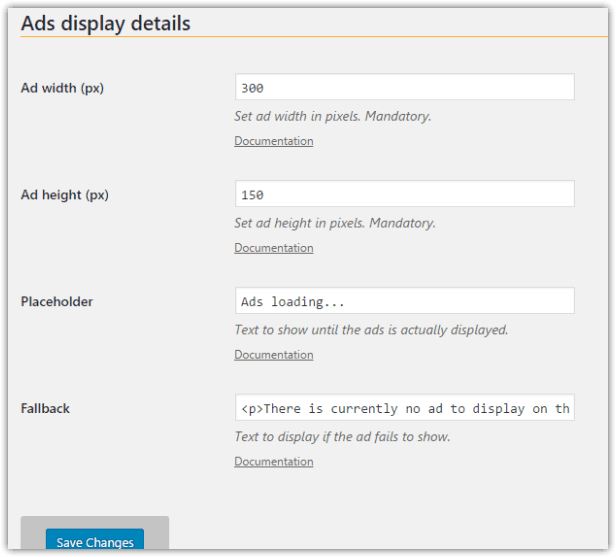 Show ads from shortcodes/autoinsert only: with this option, you can use shortcodes, or automatically insert ads inside your content, but ads won't be inserted before or after the page main block. Automatic insertion of ads based on paragraph count is only supported in the regular edition of weeblrAMP. 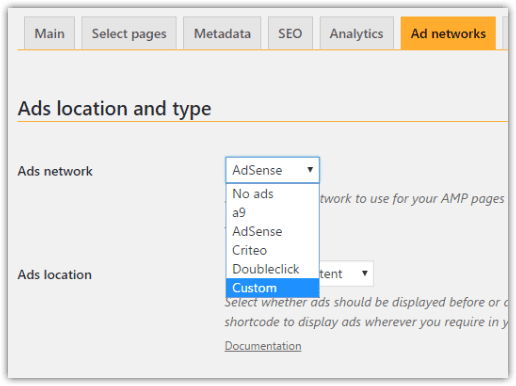 With these 2 settings, you can instructs weeblrAMP to insert ads from your selected ads network inside your posts (or pages, respectively) text. The insertion is based on the number of paragraphs in the text. To insert ad on a regular basis in your article, use the syntax: /N where N is how many paragraphs you want between ads. will insert an ad after the 1st paragraph, then the 3rd and then the 6th. Please refer to the hooks reference documentation for more details, under the section Ads. The sample above is just that, a sample. You will need to talk to your ads network company to find out which exact syntax to use. weeblrAMP will not perform any real check on this, so be sure to verify your syntax is correct, and then test your page. This tag has multiple forms, and lets you insert ads from any network, not just the one you selected in the weeblrAMP settings. Please read about all possible options on next page. Automatic insertion of ads based on shortcodes is only supported in the regular edition of weeblrAMP.